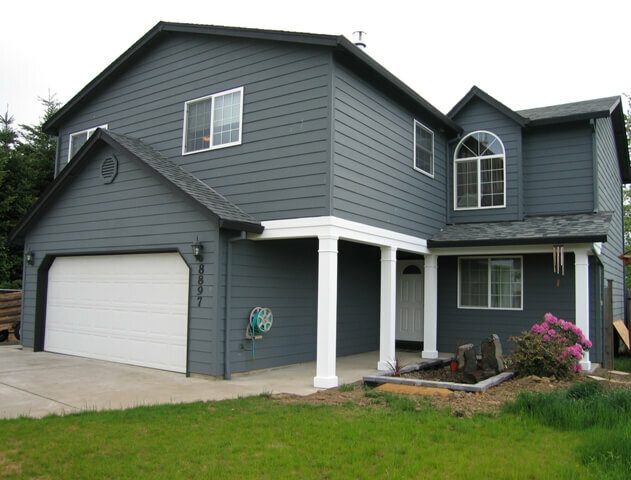 This large over-the-garage addition also expands over the home’s entrance to provide protection from the rain. The white pillars leading up to the entry provide structural support and an attractive architectural accent. The remodel includes a family room, cozy sitting area with a gas fireplace, and a separate office. The family room is full of natural light and serves as an entertainment room with a small closet for media storage. “For our future projects we wouldn’t want any other team!” – Nicole and Kevin K.